President Larry Roberts called the meeting to order at 6:32 p.m. Directors present for the meeting were Doug Alred, Jane Alred, Nicole Andress, Christy Astorga, Bonnie Brooks, Errol Daniels, Susan Haag, Angela Harris, Dennis Harrison, Todd O’Donnell, Ty Payne, Larry Roberts, Larry Sassa, Paul Smith, Douglas Tillett, Stuart Toomey, and Jim Van Cleave. Stan Lambert and Franz Lerch were absent. Approval of 1/7/19 (January meeting) minutes: On a motion by Stuart Toomey and seconded by Todd O’Donnell, the January board meeting minutes were approved as submitted. Treasurer’s Report: Bonnie Brooks distributed copies of the Balance Sheet and the Profit and Loss Detail Statement through February 2, 2019. Line items discussed included income from the GRR training class as well as race entries from Guana. Expenses included payments for the newsletter, race team entries for Vystar 5k, Resolution Run, Ameris Bank races, JU graduate assistantship spring semester, Mark Ryan/Guana reimbursement, and expenses for Eric Franks and the 1st track meet. Emerald Trail Plan Update – Larry Roberts reported that there is an upcoming city council meeting on 2/13, which he has been invited to, in which council members Reginald Gaffney and Lori Boyer would be presenting plans and proposals for the trail project to be put in legislation as well as a new budget. Currently in works is a plan that would award $2.7 million to the city, if Groundworks Jacksonville can raise $900K as their commitment. 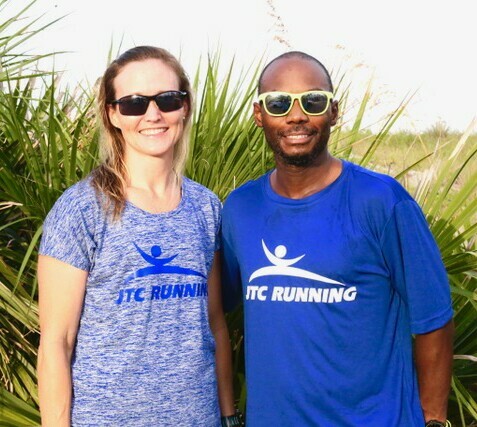 Where to Run in Jacksonville on JTCRunning.com – Paul reported that trails should also be added to the lists of running locations. He has gathered and put together various lists from 1st Place Sports, Florida Striders, and other mapping sites and will be getting with Stuart to put together a comprehensive list and layout for the website design and functionality. Again, the route information and links will stand out and be easily accessible to page viewers. Sulzbacher Run, Jump, Throw – Angela Harris reported that she finally heard back from Sulzbacher Center and Maxine Ingram, who is over the youth department. She stated that Spring Break time would work best for scheduling and attendance purposes. Runner Exchange with Nantes, France – No Report. Gate River Run Training Class – Larry reported that there were 114 paid participants enrolled in the class and there were 25 group pace leaders. They will be running this Saturday in Ortega. Winter Track Meet @ Bartram – Larry mentioned that the event was well attended with over 600 participants. Christy Astorgia mentioned that an award issue arose from one of the Fruit Cove coach’s entering their kids’ information in the system incorrectly by submitted kids’ school grade rather than their ages. It was stated that this would be corrected or addressed by the next track meet. Our next meet is in May. JTC Running Promotional video – Larry Sassa detailed and reported that he and other board members recently met with Allen Frazier of Creation Studios regarding the promotional video and advertising project. Some of the areas covered included who we are, what we do, what we represent and how we fit in terms of our community. The video would be 4-5 minutes long which could potentially cost $2,000/minute based on current industry rates. The video would include details about Gate River Run and our other races, community work we do, our community donations, track meets, scholarships, and more. As this was previously discussed during the Finance Committee meeting, which was held before the board meeting, Larry Sassa presented a motion on behalf of the Finance Committee to spend up to $15,000 on the JTC video and community marketing tool. Doug Alred seconded the motion, which was passed by the board after further discussion and explanation was held. Attendance at RRCA convention @ New Orleans March 28-31 – Doug Tillett reported that this year’s convention is scheduled for March 28-31 and that we would send the same attendants as last year unless other board members were available and wanted to attend. A motion presented by Doug Tillett and seconded by Bonnie Brooks to use the funds previously designated in the budget for the convention was passed by the board. Club Booth at Runners Expo – Larry mentioned that we still needed board members and volunteers to work the River Run booth and hospitality tent and signups for the events are currently on the website. Currently we are in need for the evening shifts for Thursday and Friday for the booth. Winter Beach Run (Sat 1/19/19 @ 2pm) – Doug Alred passed out the expense report for the event. He stated overall the event was great with the weather and the Saturday date, and we managed to keep expenses down, which by not having beer helped. The 10-mile race entries were down. Gate River Run (Sat 3/9/19) – Doug Alred reported that we are doing well as we are 12% ahead of last year, as we have almost 11,000 registered at this point. He stated that racing entries overall have been less over the last 5 years, but running races was up in 2018 and hopefully carrying over to this year. We need to start planning and get ahead of the game by getting rid of or changing some things before next year’s construction forces us to; for example, there will not be any ramps next year. We are all set with volunteers and have the water stations staffed. Jim Van Cleave reported the we currently have 72 elites expected with nearly 50 committed and already registered. Several of the elites from last year will be returning, including the Army group, as well as some 1st timers like Olympian Shannon Rowbury, and the head of Nike running. Gate River Run Sponsorship Committee – Dennis Harrison stated that possibly for next year getting with CAA Sports for sponsorship as they currently work with the Rock & Roll race series. Classes & Clinics – No Report. Community & Public Relations (Gate River Run Video) – Larry Sassa reported that we needed suggestions and a list of needs for the hospitality tent area, as well as volunteers to set up and handle the bag check area. Usually the setup of the tent, table, and chairs is handled Friday afternoon. The area will again have portalets, tissue, hand sanitizer, food, and drinks and feed nearly 300 people. Finance – Bonnie stated that there was a Finance Committee meeting held before the board meeting and there were several requests submitted. First request was from Westside High School for their 2nd Annual Relay Meet, which is the same day as GRR and an event we sponsored last year. On a motion present by Bonnie, seconded by Doug Tillett, and passed by the board, we will give Westside High $500 for their meet. The second request was from David Frank of Bartram High for their two Friday Night Spikes events scheduled in April and May. On a motion from Bonnie and seconded by Todd O’Donnell, to award Bartram $1,000 ($500 for each event) for their events, was passed by the board. The next request was from Fletcher High School for their school track meet scheduled for April 2nd. On a motion presented by Bonnie, seconded by Doug Alred, and passed by the board we will give $500 to Fletcher Highschool for their upcoming track meet. Membership – Membership was currently at 1,277 active members with new GRR enrollments. Merchandise LogoXpress – Larry Roberts reported that we would have our old merchandise on hand at the GRR expo with discounted prices. It was also reported that The Florida Striders have had similar lackluster experiences with LogoXpress in terms of sales, assistance, and communications. Communications: Newsletter, Social Media – The cutoff to submit an article or material for the next newsletter is the 10th, however if more time is needed, it would need to be in by the 15th for the latest cutoff date. Current newsletter is in the mail and the email blast has been sent. Vision & Planning – Doug Alred reported that Tomahawk Park/Trail may need a redo due to the weather and that he would get an estimate for a possible rework. NEXT MEETING – The next board meeting will be Tuesday, March 5, at 6:30 pm in the Mediterrania Restaurant. The February meeting was adjourned at 7:38 pm.